With tall posts that measure nearly 4-inches wide, the Darien Four Poster Bed is sure to make a statement in the wood species and finish you select. 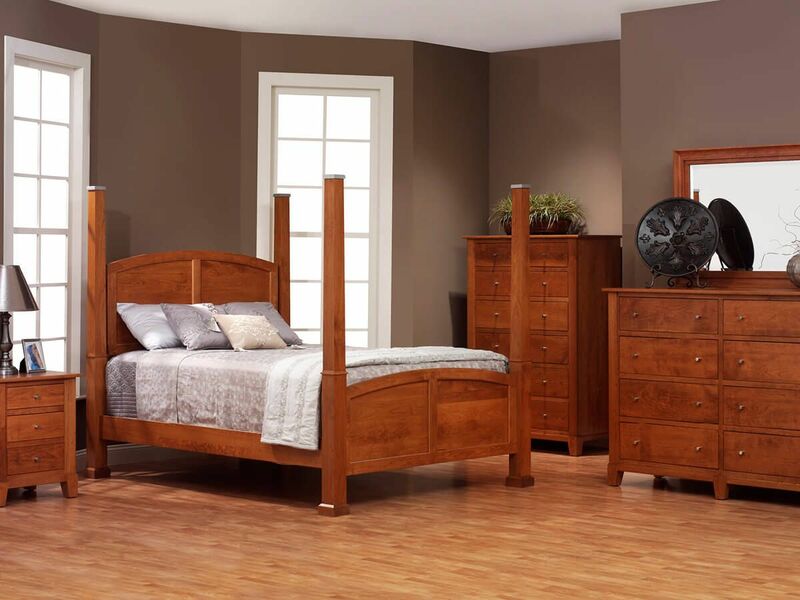 The Darien Poster Bed is handcrafted of solid hardwood by our Amish artisans and reinforced with dowel joinery. This ensures the durability and longevity of your four post bed so it can provide many years of practical use. 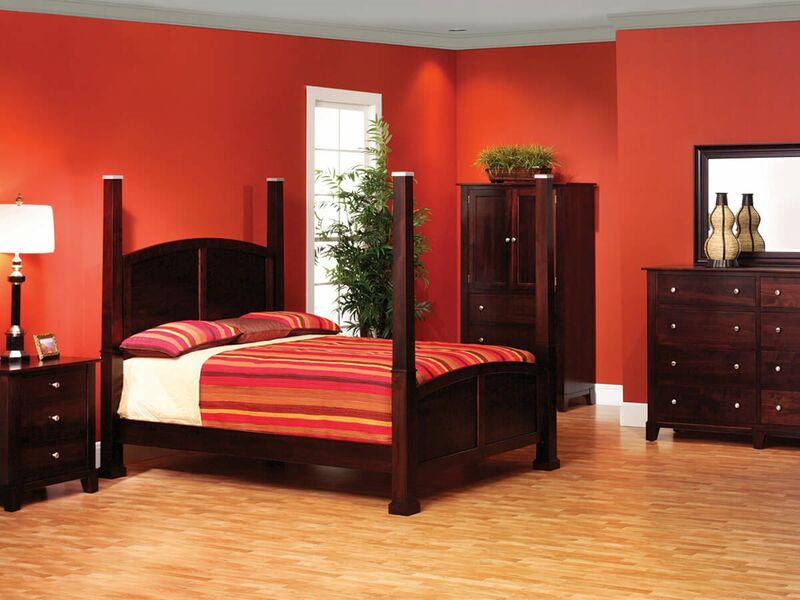 For added mattress support, Queen, King, and California King sized beds are constructed with center support legs. 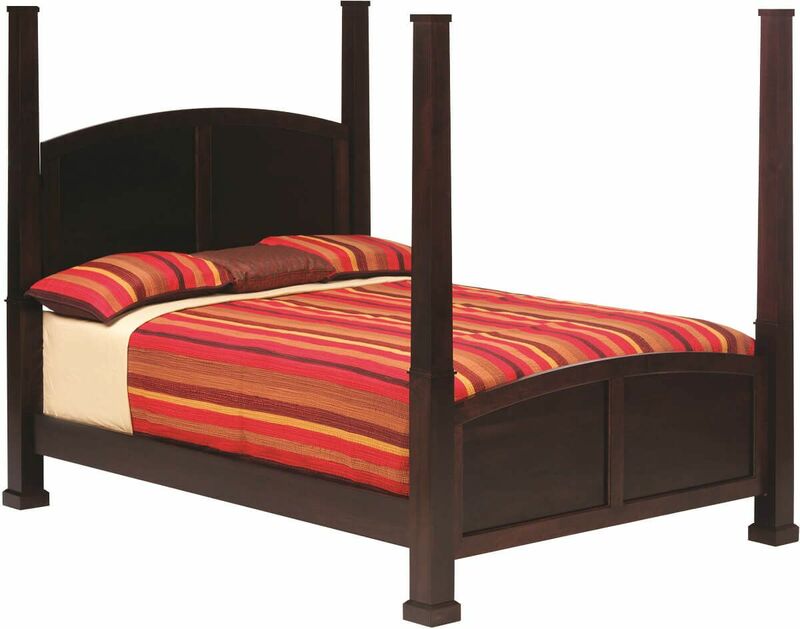 Queen beds include two center supports while King sized beds are crafted with a support leg under each of the four bed slats. Indicate your preferred specifications for the Darien Four Post Bed using the options menu provided. Unsure about your finish selection? Request real wood samples at checkout and make your decision once they arrive. *Under bed clearance is 9"H. Floor to top of bed slats is 11"H.